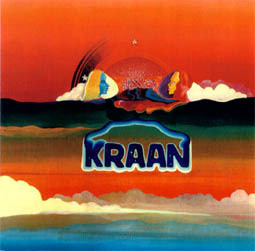 The name Kraan was short, concise and meant absolutely nothing. 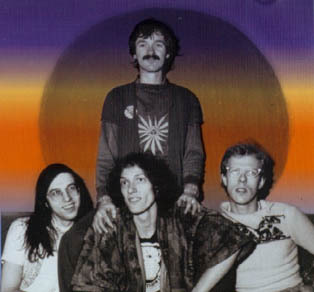 Still the band was to become one of the most important and stylistically characteristic German jazz-rock bands of the seventies. 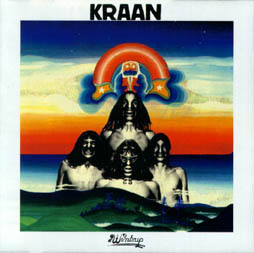 Kraan was formed in Ulm (south of Stuttgart) in 1970. Peter Wolbrandt (guitar), Hellmut Hattler (bass) and Jan Friede (drums) all had their backgrounds in free jazz bands. Johannes "Alto" Pappert (sax) on his side had a passion for soul, but came to Kraan directly from a rock band. 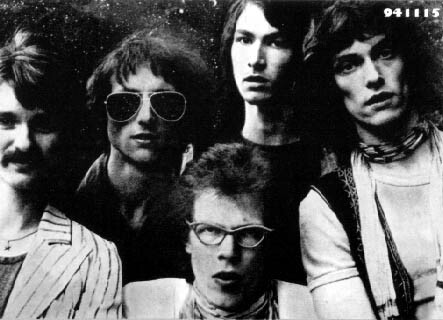 Their debut album was recorded in May 1972 and later released on Spiegelei in a colourful fold-out sleeve. It contained their basic live repertoire at the time (and also favourites for years to come) like: "Kraan Arabia" (a cunning jazz trip into Eastern music), "Sarah's Ritt Durch den Schwarzwald" and "Head" (an 18-minute long improvisation). A remarkable album, it was recorded in just three days at Studio 70, Munich. Instrumentally it was well-balanced between Pappert, Wolbrandt and the outstanding bass-work of Hattler, then just 20 years old but already a master of his instrument. 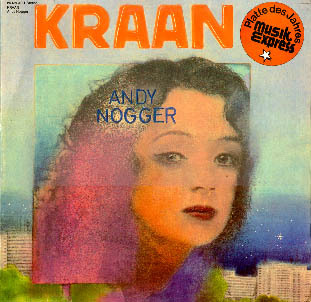 The two following albums, Wintrup (1973) and Andy Nogger (1974), were similar in style. They sold quite well, even gaining a release in the States. 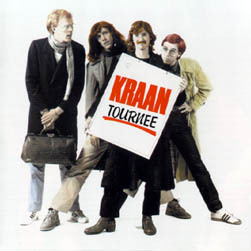 In those days, Kraan toured Germany a lot and were renowned for their great performances full of improvisations. 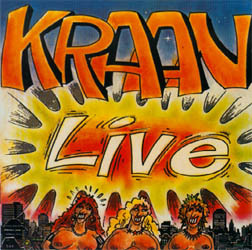 The excitement of a Kraan concert was caught perfectly on Live (1975) - one of the best German live albums of all time! Improved versions of many of their old songs were included with extended solos. The album was recorded at Quartier Latin in Berlin in September 1974. 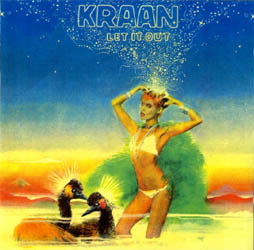 In 1975, Kraan made two tours in the United Kingdom and also appeared at the Danish Roskilde festival in July, now adding a fifth member: Ingo Bischof (keyboards). He had previously been a member of Karthago. Let It Out (1975) proved to be a disappointment (for the band at least) and Bischof left at the end of the year. After one German tour and a third UK tour, Pappert also left in August 1976 to go solo. 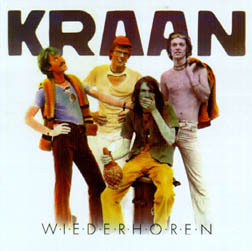 In spite of the rumours of disbanding, Kraan kept on and recorded Wiederhören in February 1977 with Bischof back in their ranks. This album also marked a change of label from Spiegelei to Harvest. It's technically good, but the musicians do not always sound inspired. Better though was Hattler's solo album, Bassball, recorded in November 1977 with the whole of Kraan and other friends like Curt Cress (drums), Joey Albrecht (guitar, of Karthago) and Roland Schaeffer (sax, of Brainstorm and Guru Guru). 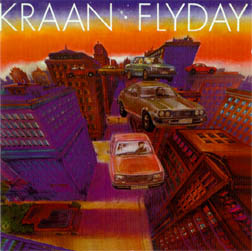 With renewed vitality, Kraan recorded Flyday in December 1978, now consisting of Hattler, Wolbrandt, Bischof and Udo Dahmen (drums, previously a member of Rufus Zuphall and the Charlie Mariano Band) . This was their best album since Live, although quite different from the old Kraan sound. Bischof's dominant keyboards resulted in a softly flowing and spacey jazz-rock. The first edition was pressed on blue vinyl. A German tour in the Spring of 1979 resulted in their eighth album Tournee (1980). Udo Dahmen then quit to join the Norwegian band Ruphus (whose albums were released in Germany on the Brain label) in their last phase. 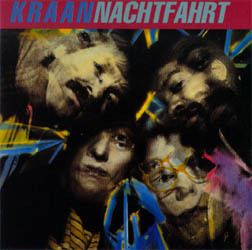 Under the direction of Hattler and Bischof, Kraan have continued to release albums throughout the eighties with various associated members including Gerry Brown (drums), Mark McMillen (keyboards, vocals) and Eef Albers (guitar). These albums will appeal to fans of polished, conventional jazz-rock. The band is apparently still active today.